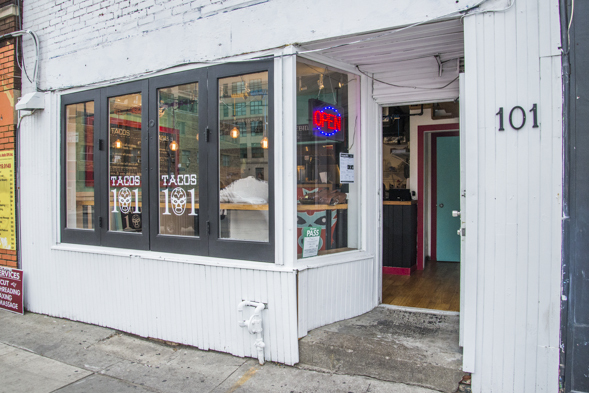 Tacos 101 is not an introductory course in tacos as you might guess from the name, but rather a reference to this taqueria's address on Dundas East. 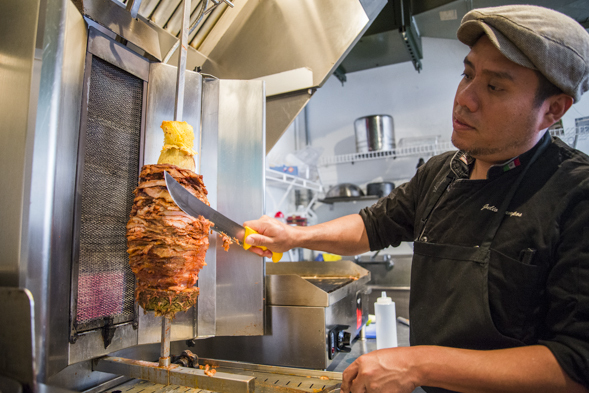 The takeout counter has replaced It's All GRK , and even repurposes one of the gyro spits to slow cook its al pastor. Owners Andrew Paprocki and Jeff Sato cite just cosmetic changes inside. The compact shop consists simply of an open kitchen fronted by a walk-up counter and a rail along the window for diners to perch against while eating. 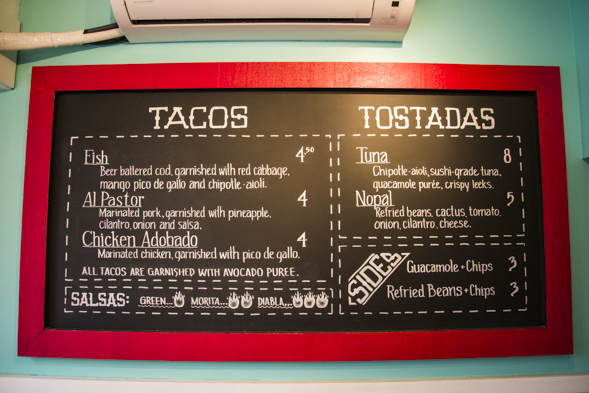 The menu is appreciatively uncomplicated featuring a lineup of just five tacos, a couple of sides, traditional Mexican drinks and rotating weekly features. Manning the kitchen is Julio Campos, of Puerto Vallarta who most recently cooked at La Doña, a Mexican restaurant in Paris. 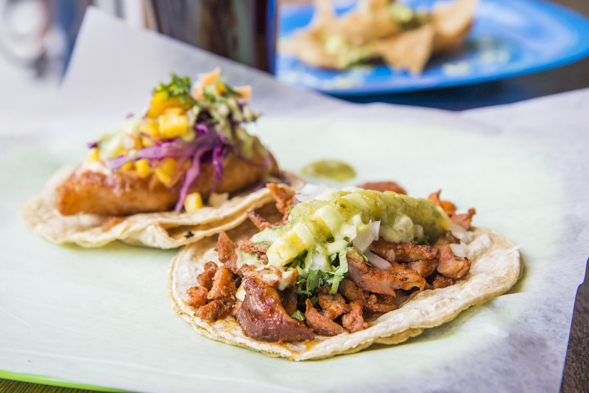 He notes that while the vertical rotisserie might seem out of place, it's actually the traditional way to cook al pastor; a mass of pork shoulder threaded onto the spit and capped with pineapple cores that trickle sweet juices over the meat as it spins and slow cooks. The final result is one pretty awesome taco ($4) featuring pork shaved off the spit. The meat is stained red from a boldly spiced marinade and then caramelized to perfection. 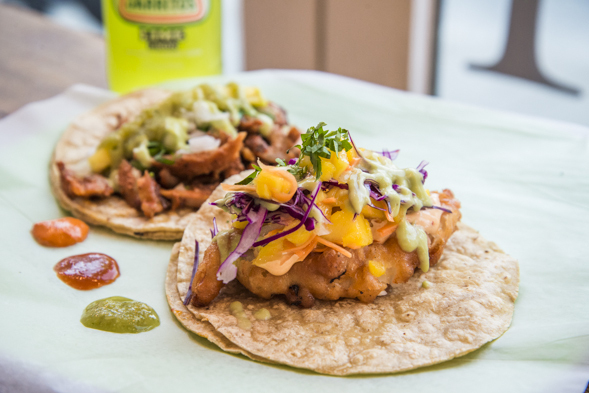 It's simply garnished with a spear of pineapple, cilantro, onions and salsa and laid over corn tortillas courtesy of La Tortilleria that are brought in fresh daily and doubled up for structural stability. The fish taco ($4.50) is good too. This one features golden fried beer-battered cod that's finished with shredded red cabbage, mango salsa and chipotle mayo. 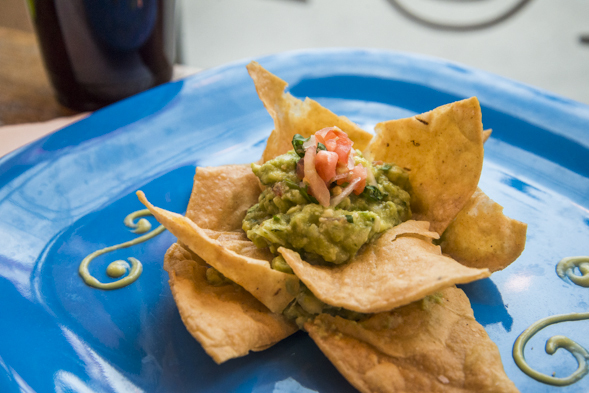 Gauc and chips for $4 showcases the house-made chips and a flavourful mash of avocado, tomatoes, onions and lime. It's also a good way to sample the house salsas including the fiery diablo hot sauce. 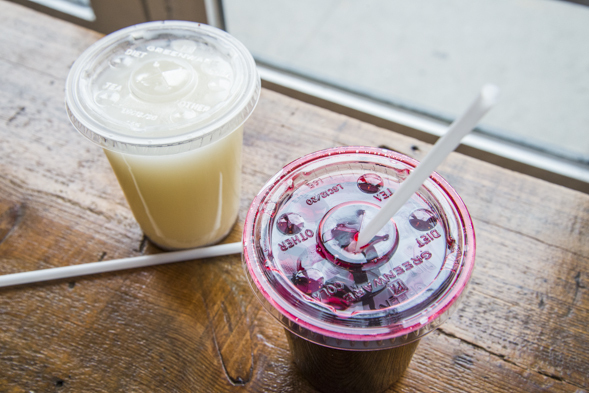 To drink you'll find Jarritos, sugar cane sweetened Mexican Coke, and house-made horchata (a blend of rice, cinnamon, vanilla and almond milk) and Jamaica (a cold sweetened tea made of steeped hibiscus flowers). 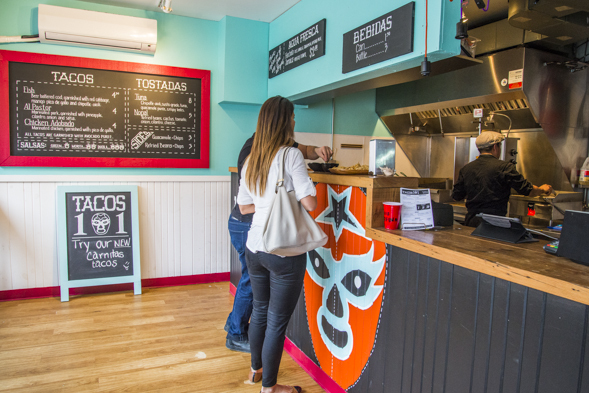 Take-out is to be the primary source of business while delivery is being considered but unlikely to be realized for fear that the tacos will get soggy en route to their destination.